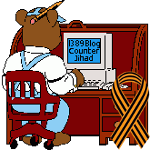 Grover Norquist — 1389 Blog - Counterjihad! The Muslim Brotherhood is on your doorstep! Rick Perry Must Distance Himself from Grover Norquist!